Pads are an absorbent piece of material used to soak up menstrual blood when a girl is on her period. Pads have a sticky back so they stay attached you your underwear. Most girls will use pads when they first start their period so they can get to know their flow. Once they've mastered pads some girls move onto tampons while others just use pads their whole life. The choice is up to you. However you cannot go swimming with a pad. 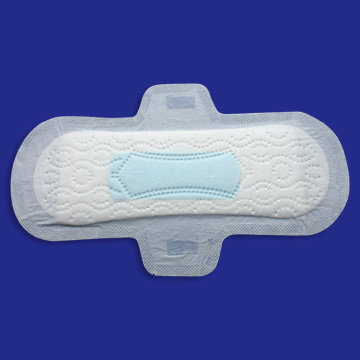 This is what a pad looks like. The come with or without wings. Wings are a sticky flap that folds around your underwear to hold the pad in place. This is a non-winged pad. And this is a winged pad. Wings are good if you have a heavy flow, that way you have more protection and less chance of the pad moving out of place. Once again it's your choice if you want to use winged pads or non-winged pads. 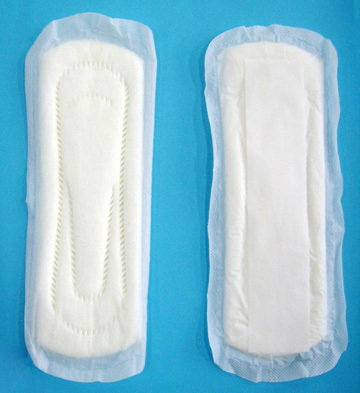 Pads come in different absorbencies. These are regular, super, overnight and maternity. Regulars are good for during the day when you can change them often. Supers can be used during the day if you have a heavy flow or at night if you have a regular flow. Overnight are for, you guessed it, overnight. They're longer to catch more fluid because when you're sleeping you can end up in some weird positions and are extra absorbent because at night you don't want to wake up just to change your pad. Maternity pads are for women who have just given birth because the lining of the uterus had to hold a baby and keep it safe and warm it's a lot heavier than any normal period and lasts quite a while. So I can tell you for sure, you don't need maternity pads! You should change your pad every 4-5 hours, no longer than 6. If your pad fills up before 4 hours and/or you leak then you need to switch to a higher absorbency. If your pad still isn't full after 6 hours, switch to a lower absorbency. Move down to liners if you were already on a regular pad. Now that you know all about pads with wings and without and how to put on a pad, now I'm going to answer some common questions about them, and also when to change them! Q: How often should I change my pad? A: Usually, you should check to see if you need to change your pad every 2-5 hours. If you feel "wet" or uncomfortable then it's most likely time to change it! Also if you could imagine fitting a whole hand over your pad (and there is blood all underneath this imaginary hand) then it's also a good time to change your pad. Q: My pad feels itchy, how can I fix this? A: Sometimes, it's not always the pad that's itchy, it may be due to shaving "down there" or even a small rash or infection. To rule out these things check for the signs of rashes or infections. Now that you've ruled out those things, it's time to examine your pad. It may be the brand you are using, try a different brand! Also you may just be filling up the pad quicker than you know, causing you to itch! Q: My pad is too bulky, is there a way to fix this? Q: My pad always leaks at night, why is this? A: This has also happened to me also! Sometimes pads are not long enough for night time. Have you ever thought about how much you roll around at night? That is probably the main reason why your pad isn't long enough! Try buying an overnight pad, this will cover more towards the back fixing this issue!